How does Google Fiber work? Google Fiber is coming to Salt Lake City and Austin — it’s already in Kansas City — so here’s a cool infographic that explains how and why optical fiber tech makes data fly. Amazing. aNewDomain.net — How does Google Fiber work? It’s just optical fiber technology after all. 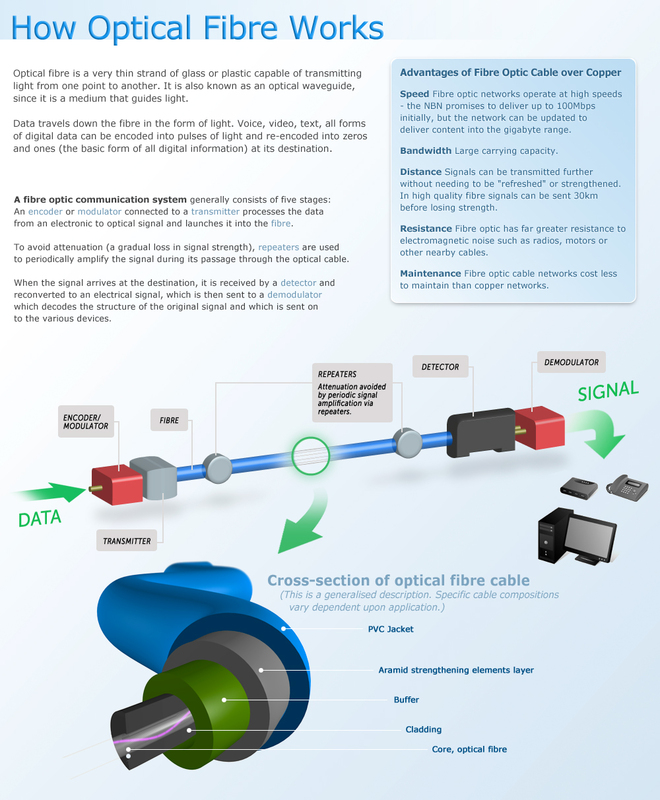 Here’s a great infographic that gets at how optical fiber works — via Technography. Now installing in Austin and coming to Salt Lake City, Google last year debuted Google Fiber in Kansas City. Google is adding cities like mad. Do what I do and keep a close eye on the Google Fiber official site at fiber.google.com. It leaked out the Austin news a few days before the announcement, so we’ve pegged it a good source. Now. What is fiber optics and how does it substantially improve the Internet experience? Most people I talk to — tech people — aren’t totally sure. A quick explainer is that, basically, you have ultra thin glass or plastic strands capable of transmitting data in light form. That’s it. You get photons instead of electrons doing the off and on two-step. The result? A huge improvement in speed — we’re talking about rapid download and upload speeds, in optimized networks, that blasts video, audio, text, any kind of data — in the up to the gigabit per second range. Sweet. That’s 100x faster than what you probably have now. The infographic below gives you the basics on how optical networks work.